Darren Barerett, trumpet/keyboards/percussion; Santiago Bosch, piano/keyboards; Alexander Toth, bass; Anthony Toth, drums; Clay Lyons & Erena Terakubo, alto saxophone; Judith Barrett, percussion; Kurt Rosenwinkel & Nir Felder, guitar; Chad Selph, keyboards. At first listen, I had a 1950 & 1960 jazz flash-back and I mean that in a good way. That didn’t last long. This is a surprise package of infectious music. First cut, “The Opener,” and title tune sets the energetic precedence of this recording. 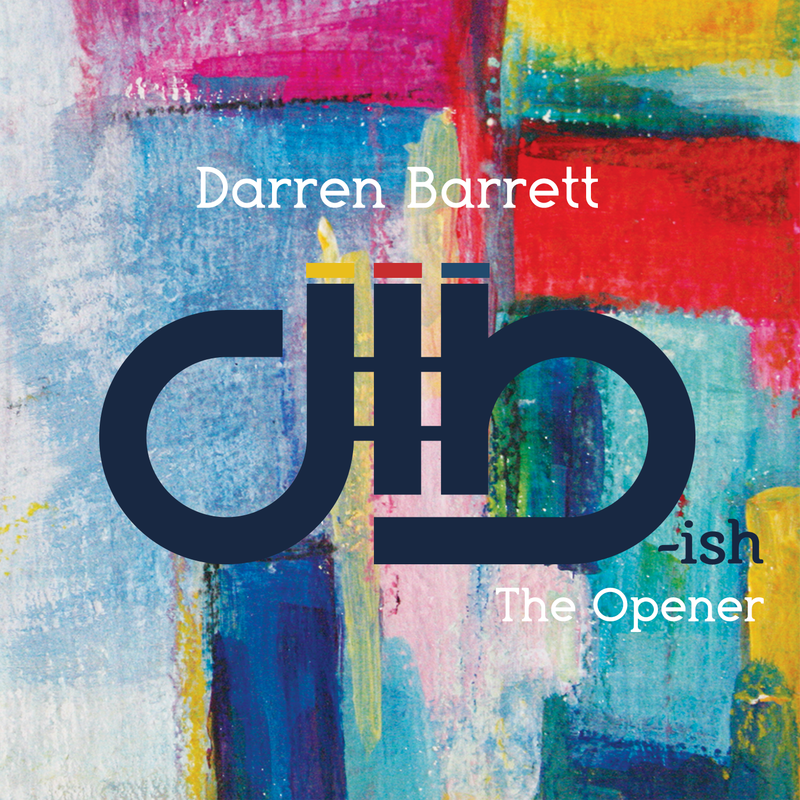 A fluid piano solo sets the tone for Darren Barrett to flex his trumpet muscles. He brings fire and fury to the bandstand, with drums that sound like gunshots when Anthony Toth pops them. Barrett builds on themes and grooves in a very modern jazz way, but at the same time, his compositions are melodic. His chord changes leave enough room for the power and excitement of talented musicians to explore improvisation and freedom. There’s an element of ‘Hip Hop’ and fusion in the way he produces his music, with loops and grooves prevalent.But on top of it all is undeniable ‘Straight ahead’ jazz. Cut #3, “dB-lemma” is a perfect example of this and gives bassist Alexander Toth a perfect platform to solo in a very tenacious way. Impressively, Darren Barrett has composed, arranged, engineered and produced everything on this album of quality music. Barrett is thoroughly entertaining and pushes the boundaries with his horn, with his compositions and his unique production ideas. I was completely entertained and pleasantly pleased from the first cut to the last. Jorginho Neto, trombone/composer; Sidmar Vieira, trumpet; Robson Couto, bass; Gustavo Bugni, piano; Vitor Cabral, drums,Alexandre Mihanovich, guitar; Thiago Alves, contra bass. Martin Luther King Jr.’s voice echoes through my living room, muffled by heavenly horn sounds featuring a prominent trombone and an interlude piece based on the gospel song, “Amazing Grace.” Dr. King is speaking his historic speech about the possibility of his not getting to the mountain top, and it moves me back in time, to our struggle for civil rights and the man who believed in non-violent protest. The background music, titled “Gracie” reminds me of a Louisiana funeral procession. But the music of Martin’s day during the 1950’s and 60’s celebrated revolution and change. I recall the year that Dr. King was murdered, Sly & the Family Stone were encouraging people to “Stand” and James Brown was screaming “Say It Loud, I’m Black and I’m Proud.” In the jazz world, Miles Davis was sweeping the jazz world with his popular, “Sketches In Spain” CD, and Coltrane and Don Cherry were collaborating on the LP, “Avant Garde.” John Coltrane’s “My Favorite Things” changed that Broadway song into a jazz classic. That’s what was happening during Dr. King’s activist days. but, I suppose this young artist was trying to reference the Christian church with this very dirge sounding music rather than the popular music of that time in history. And of course, that makes sense. I admire that Jorginho Neto wanted to celebrate this Peace Prize recipient who gave his life for good. The very next tune that blasted onto the scene was full of Funk and Fusion. It’s the title tune, “Harlem.” That’s when I turned to the liner notes to read who Jorginho Neto really was. I discovered he started his musical life playing his beloved trombone in church at the age of thirteen. I discovered he’s Brazilian. I could see by his performance, on-line, that indeed he is a young and talented player and obviously, someone who admires Dr. King, but he was not here in our country for that struggle. His compositions, after the first cut, are all very Herbie-Hancock-like or Fusion jazz. The solemn beginning interlude fades to a joyful sound. Dr. King would have liked that. But I still wanted to know why he had Dr. King at the top of his CD project and why he named the project, “Harlem.” His CD sleeve is written in Portuguese, so that was no help to me. I called his publicist and asked permission to send a few questions to this talented, Brazilian, trombone player. Here is what he told me. DEE DEE: Who were your biggest music inspirations? DEE DEE: Why did you name this CD Harlem? DEE DEE: Does anything about Harlem and its people remind you of Brazil? DEE DEE: Why did you quote Dr. King? What does he mean to you? DEE DEE: Do you struggle for civil rights in Brazil? DEE DEE: Music touches all cultures. What do you want people to take from your music?